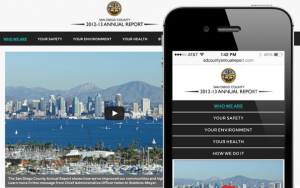 November 14, 2013 (San Diego) -- The County’s latest annual report has been published and you can check it out at SDCountyAnnualReport.com from either your home computer or –wait for it – your smart phone. That’s right, this year for the first time ever, you’ll be able to read the County’s annual report on your smart phone. And no, despite its name or any fusty reputations about reports in general, it won’t take a year to read the annual report. It’s designed to be a snapshot: a very, very condensed version of the County’s Operational Plan along with some extra accomplishments and fun facts and figures. Just check out what interests you. Scan the headings and pick a topic. You can see the County’s accomplishments at a glance. 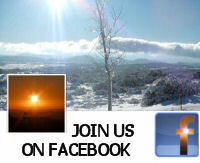 If you want more detail, link to the County News Center story or video next to the various snippets of information. You may be surprised to see how varied County projects are. Since the County is involved in lives of our citizens from birth certificates to senior services, you may even learn a little more about a program that is very close to you.